Office chairs for standing desks, here you will find the best office seating available on the market including chairs for workplaces, home offices and draughtsman’s chairs that work with height adjustable desks and adjustable conference tables. Seating that promotes movement, improves posture and can activate your core while sitting. 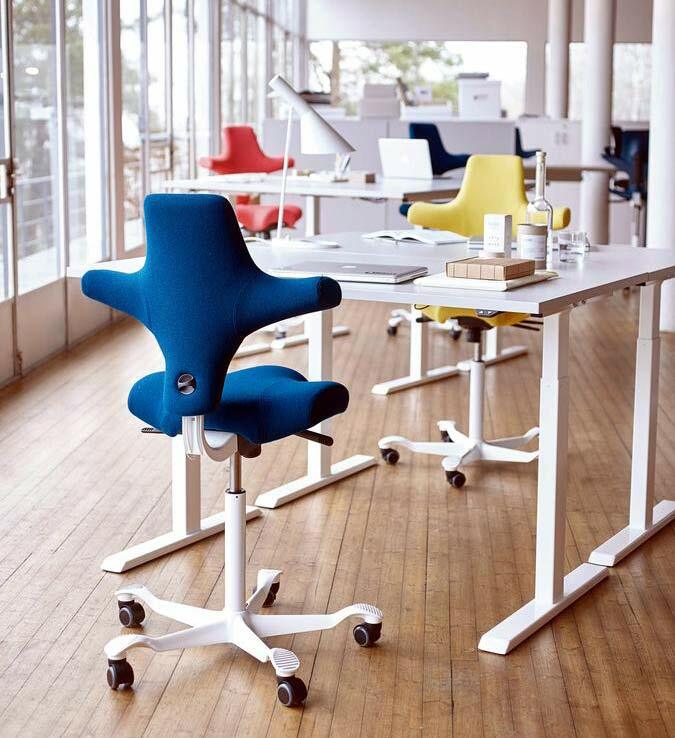 Find the perfect combination of sitting, standing and perching throughout the day. All our chairs and office stools can be used with traditional static desks as well as sit-stand desks. 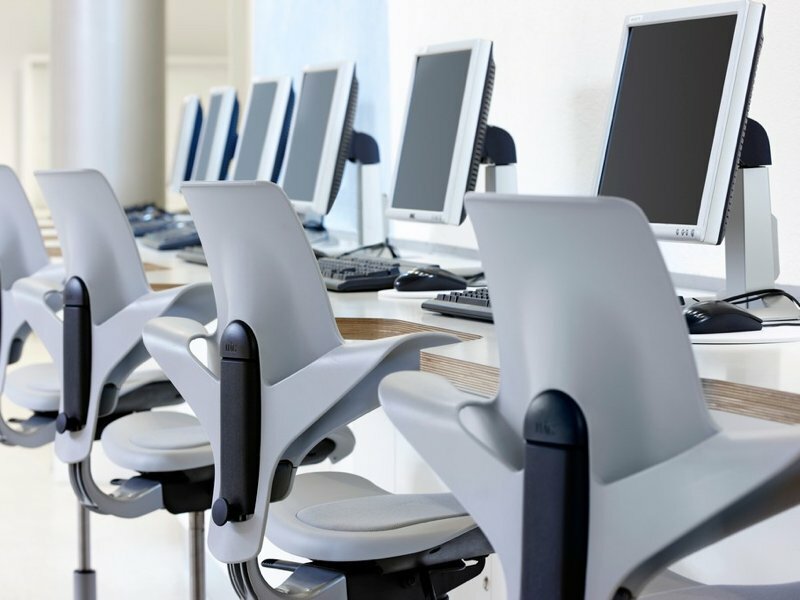 We offer a range of ergonomic office chairs that promote more movement, comfort and good posture whether you’re looking to buy office seating, task chairs, ergonomic seating, leather executive office chairs or conference seating. Height and adjustability are important when choosing the best office chair whether you’re using a sit-stand desk or not. Most designs have different gas lift options so choosing the right one for your height and use is critical. The amount of cushioning will depend on how often and long you intend to sit. The Capisco Puls has less cushioning than the fully upholstered Capisco but is equally as comfortable. Space is a consideration although it won’t be an issue if you have lots of it! If space is limited, stools work well and can be stowed under the desk when standing. The design of HAG Capisco chairs means they take up very little space when stowed too. All our seating come with a warranty and certification for use in business and home offices. Choose from fabric and mesh upholstery as well as leather office chairs. If you need computer chairs in a hurry, take a look at our quick ship chair options. Delivery to mainland UK addresses is included. Chairs will be delivered fully assembled or with some minimal assembly required depending on supplier. Please get in touch if you would like more information or have any questions.